Home » Welcome to Laurel CERT! As demonstrated by a variety of man-made and natural events that have already occurred during the 21st century, it is imperative that we are prepared for any type of disaster or emergency. Located just outside of Washington, DC and near major communications infrastructure and military bases, Laurel citizens have unique reasons to be prepared for emergencies. To help prepare residents and respond to emergencies, the City of Laurel has a Community Emergency Response Team (CERT). 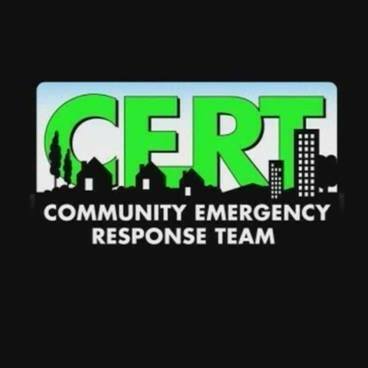 CERT's mission is to facilitate the development of a community-based disaster response plan for the City of Laurel to ensure the city is prepared for any type of emergency. CERT supports Laurel’s disaster planning by training residents for emergencies, coordinating with other federal, state, county, and local agencies, developing tabletop exercises, reviewing disaster plans, deploying to assist with emergencies, and enhancing communication. Please join us at our monthly meetings. You can find details of these meetings on our contact page.